In a low and wide tumbler, put two ice cubes and cool. 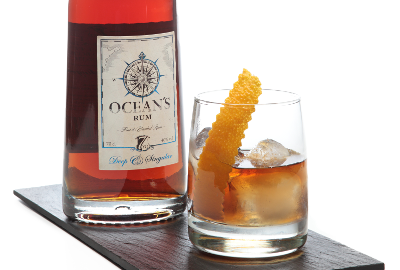 Remove the water and add 7cl of Ocean’S Deep Rum, 3 drops of Bitter Truth Chocolate, 1 grated of Haba Tonka, 1 grated of cinnamon from Cassia and 1 Twist of sweet orange, which are left into the tumbler. Swirl and leave to sit for a few seconds.